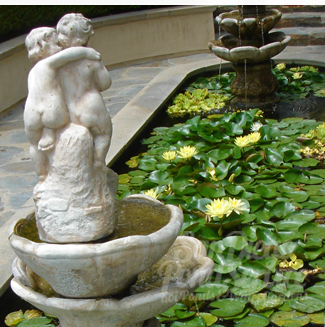 FOUNTAINS: Turn your chlorinated fountain into a beautiful watergarden! Going "green" with your fountain can add a lot of appeal to your home's courtyard or front entry. Pond plants look great in fountains. 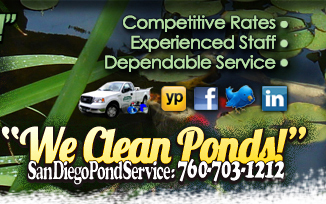 Lilies and bog plants thrive in shallow fountain basins. Rid your fountain of those unsightly chemical stains and add some natural beauty to your fountain by going green and letting us create your watergarden vision. By adding a small filter to your fountain, you'll be able to add some small Goldfish or Platy fish. These fish will jumpstart your fountain's ecosystem. Fountain pond plants love to feed off fish waste. This extra fertilizer boost will help promise beautiful blooms all season. A properly decorated and maintained "green" fountain looks great and adds a lot of character to your home, patio, backyard or entry way fountain or water feature.